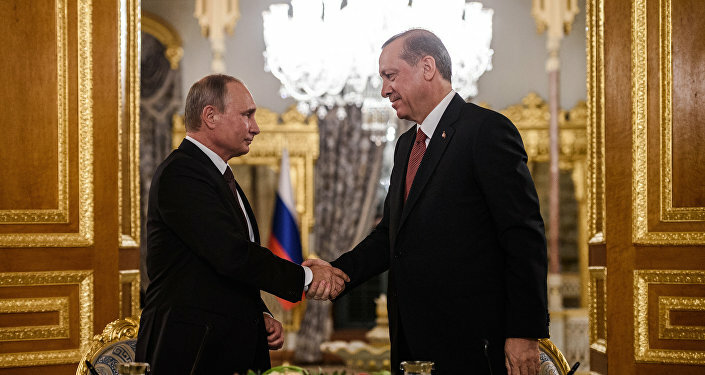 Ankara and Moscow have become increasingly disenchanted with the West's policies in Syria, experts note, adding that the Syrian crisis is likely to bolster the dialogue at high political level between Turkey and Russia, opening the door to closer cooperation. Barack Obama's incoherent Middle Eastern foreign policy has given Russia an upper hand in Syria and allowed Moscow "to drive a thick wedge" into NATO by involving Turkey in its fold, American academic Walter Russell Mead argues in his article for the American Interest. "[Russian President Vladimir] Putin has not only, thanks to White House dithering and irresolution, managed to reinsert Russia into Middle East politics in a spoiler role… he has also, thanks to the incoherence of American policy, managed to drive a thick wedge into NATO by further alienating Turkey from the West and, especially Washington," Mead claims. Natasha Bertrand of Business Insider notes, for her part, that Ankara has its own reasons to turn away from Washington. Citing Aykan Erdemir, a former member of Turkish parliament, she underscores that the Turkish leadership does not view Washington as a partner in its fight against the domestic Kurdish insurgency. Furthermore, America's unwillingness to give up on its Kurdish allies in Syria also triggers growing concerns in Ankara. 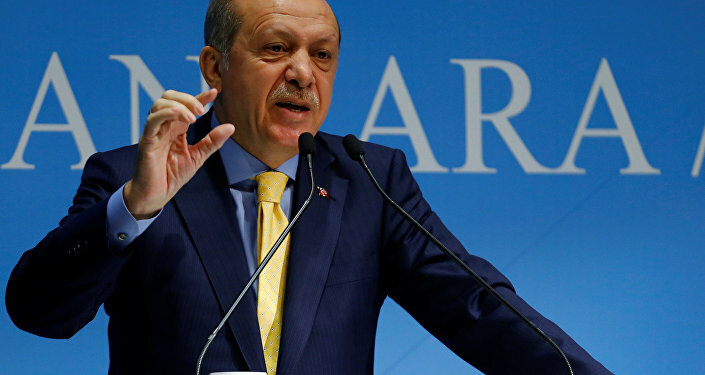 The journalist remarks that Moscow's diplomatic support to Turkish President Recep Tayyip Erdogan during the attempted coup back in July contrasted with the West's hesitance to condemn the uprising plotters. Indeed, following the July 15 failed coup in Turkey, the Russo-Turkish rapprochement has been gaining steam. On October 10 Russian President Vladimir Putin and his Turkish counterpart Recep Tayyip Erdogan struck an agreement on the Turkish Stream gas pipeline project suspended back in 2015 because of the November 24 military incident, in which a Turkish F-16 fighter jet shot down the Russian Su-24 bomber in the Syrian airspace. Commenting on the issue political analyst Alexander Asafov told Radio Sputnik that Ankara's steps toward Moscow will send a clear signal to its allies that Turkey is interested in longstanding relations with Russia. In addition to renewed debates over mutually beneficial economic projects, there is the possibility of Russo-Turkish military cooperation in Syria, Asafov suggested, characterizing the dynamics of collaboration between Moscow and Ankara as "impressive." For his part, Kerim Has, Eurasian policy expert at the International Strategic Research Organization (USAK), Ankara, underscored in his analytical report for the Russian International Affairs Council (RIAC) think tank that the Russo-Turkish rapprochement has had a serious impact on Turkey's foreign policy strategy. "The normalization process could not but influence Turkey's subsequent decisions and changes in its strategy. Thus, over the last few months, Ankara has adjusted its foreign policy in regard to Damascus, softening its stance on the issue of Bashar al-Assad's resignation," Has elaborated. He added that at the same time the normalization allowed Ankara to "play the Kurdish card,"not only within its own borders, but also in Syria. "It is obvious that without Moscow's approval, Operation Euphrates Shield would have been impossible," the Turkish academic suggested. He further elaborated that "the alignment of Russia and Turkey's positions on the need to prevent a Kurdish corridor [in northern Syria] from emerging does not mean that these positions are identical." 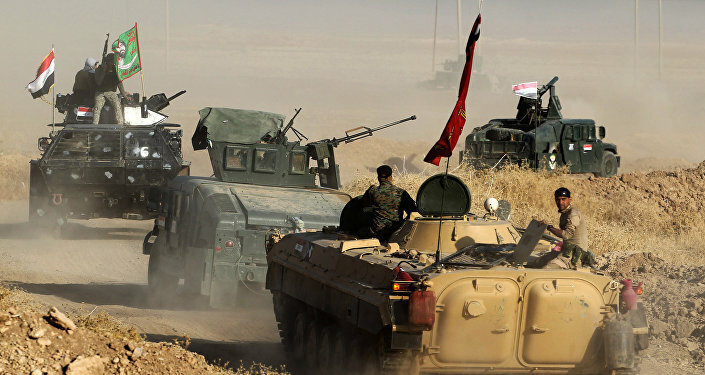 Has emphasized that the countries' positions are divergent and largely pursue different strategic goals, however, both Turkey and Russia, "each in its own way," are interested in preventing the emergence of a Kurdish independent entity in Syria. What is more important, Russia needs to ensure support from the major regional actors amid growing tensions in Russo-American relations, the Turkish academic stressed, adding that "it would be an advantage for Moscow to have Turkey as a partner." "This is confirmed by the fact that during the October 10 negotiations in Istanbul, the two heads of state also discussed the issue of separating moderate opposition from terrorist groups, as well as issues related to the situation in Aleppo," he stressed. According to the academic, both Ankara and Moscow have become largely disenchanted with the West's Middle Eastern policies. "Given the interests of both countries, the Syrian crisis will contribute to furthering the dialogue [between Turkey and Russia] and shaping a positive agenda," he believes.